We bring forth for our clients better-quality Flexible Submersible Cable. These Flexible Submersible Cables are made from high quality of raw material which ensures sturdiness to our clients. 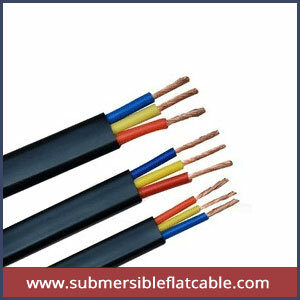 These cables are available in various specifications and customized as per the client. Provided cables are sticking manufactured by our experts using premium quality material in adherence with international parameters. Our clients can avail from us these products at most competitive rates.